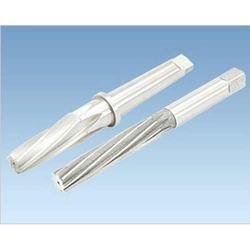 Exporter of a wide range of products which include h.s.s hand machine reamers. H.S.S (High Speed Steel) Hand Machine Reamers are broadly used in screw machines for making round holes effectively holes and also in removing vibration which are widely used in the automobile and the engineering industries. We hold highly experienced professionals to develop these products utilizing high grade raw material. These are extensively appreciated by the clients for their accuracy and performance. To meet the growing needs of the customers our products are available in the market in various sizes and specifications led by the consumers.